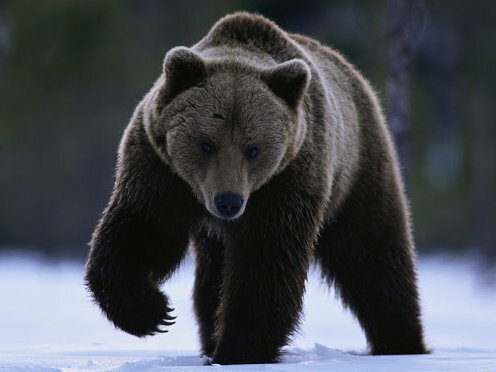 The Siberian Brown Bear was identified as separate brown bear subspecies Ursus arctos collaris by F. G. Cuvier in 1824. 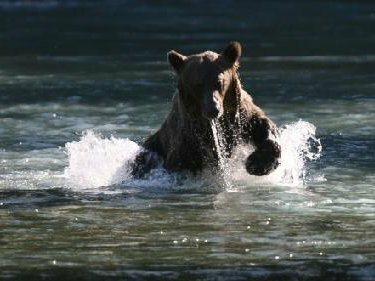 Siberian Brown Bears are found in the Altai Mountains of Mongolia, in Northern China around Xinjiang, far Eastern Kazakhstan, and in the Siberian Taiga. They are smaller than Kamchatka Brown Bears, but larger than European Brown Bears.They have long dense fur that is usually dark brown, though it may be cinnamon, pale brown, yellowish brown or even black. Their legs are often darker than the rest of their body. Siberian Brown Bears of the north have white collars which is how their latin name Ursus arctos collaris originated. Just like other brown bears in the region, Siberian Brown Bears will eat various kinds of vegetation, seeds, nuts, fruit, roots, tubers, small mammals, carrion, and fish. They are, however, more carnivorous than European Brown Bears and are much more likely to take down a caribou or elk. Mating usually takes place between May and July. 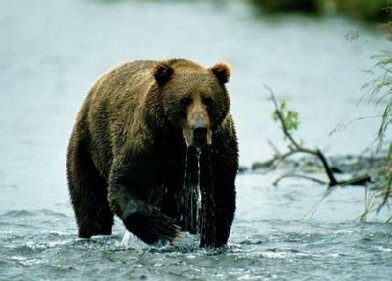 Siberian brown bears usually hibernate from October or November into April or early May, though a sow may not emerge with her cubs until late June. Pregnant sows will give birth in the den to usually 2 or 3 cubs in either January or February. The cubs will remain with their mother for up to 2 years. Lifespan of the Siberian Brown Bear is roughly 20 to 30 years in the wild. About 5,000 are found in the Altai Mountains of Mongolia, and over 16,000 can be found in Eastern Siberia. These are the only known population figures and even they are rough estimates.